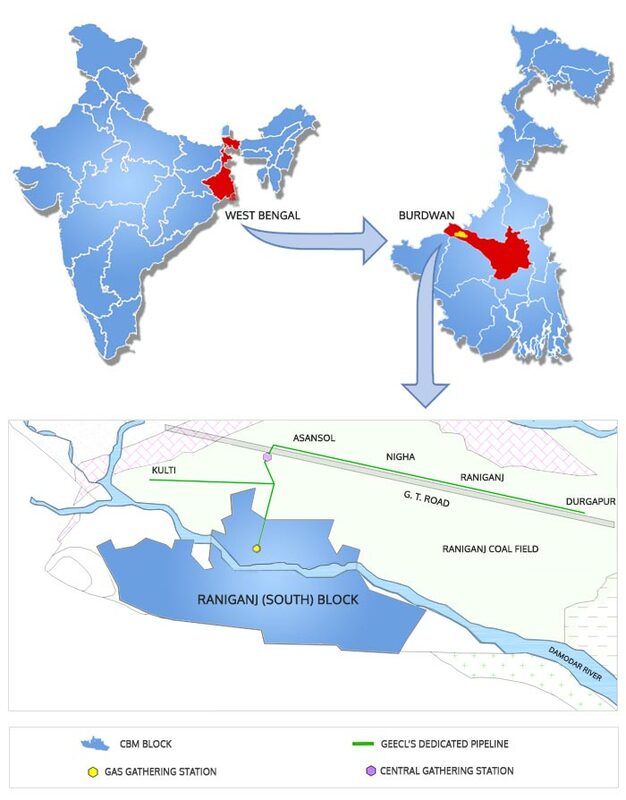 GEECL's Raniganj (South) block licence area covers 210 sq. km (52,500 acres). We will drill 300 wells in the contracted area. A 5-well cluster pattern will be followed for drilling the wells. The wells are connected by an internal MDPE pipeline network going into our Gas Gathering Station and then feeding the gas into our dedicated external steel pipeline network. Area of 210 sq. km.